Qamar Schuyler works on statistical modelling for a variety of marine debris-related projects. 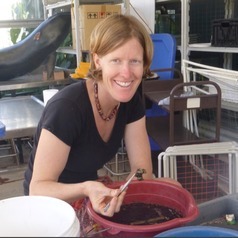 Her research interests include the impacts of marine debris on wildlife, the analysis of satellite imagery for ecological change detection, visual ecology, and sea turtle biology and ecology. Qamar also has extensive experience in marine tourism, and coordinated outreach and education campaigns in the Mariana Islands.